Our friends at Capcom have done it again. They're the ones who released the Revelations game complete with typo. And they've done it again. Same company. Different game. Similar problem. I wonder if they sacked their Proofreader after the previous gaffe. And, though he failed miserably first time around, perhaps that's him savouring the new blunder. LoL. Failz good eye! +follower! Hi Scooter. Thanks for following. 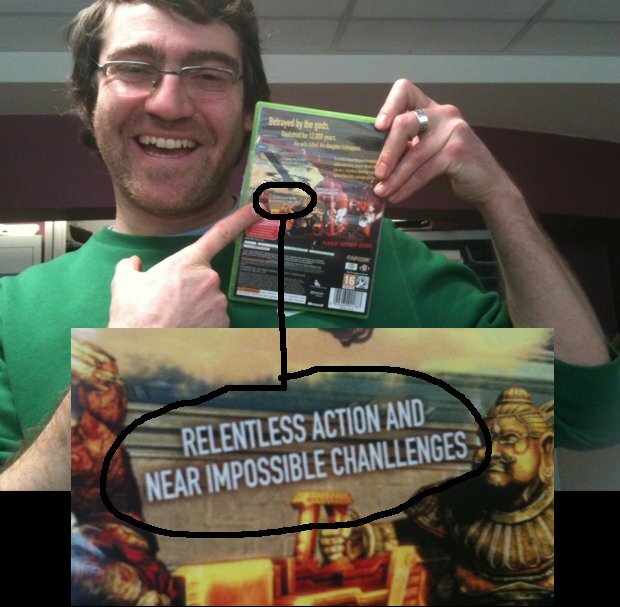 I almost got to wonder if he did it on purpose just to see if any sharp eyed gamers would even notice, haha. Well, certain printers have been known to try it on occasionally with some of their more unreasonable - and unwanted - customers. Usually just because they can. And normally only at the proofing stage.